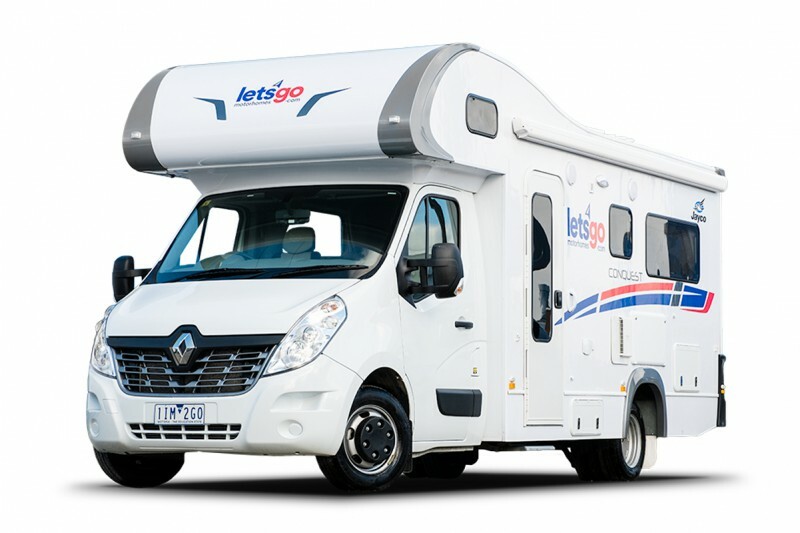 "Review of my Lets-Go-Motorhomes hire"
"Perfect motorhome and rental company!" Offering luxury fleet of campervans and motorhomes, Let's Go Motorhomes essentially puts the 'home' into every rental. Of course, the selection on fleet might be pricier, but these vehicles are significantly younger. 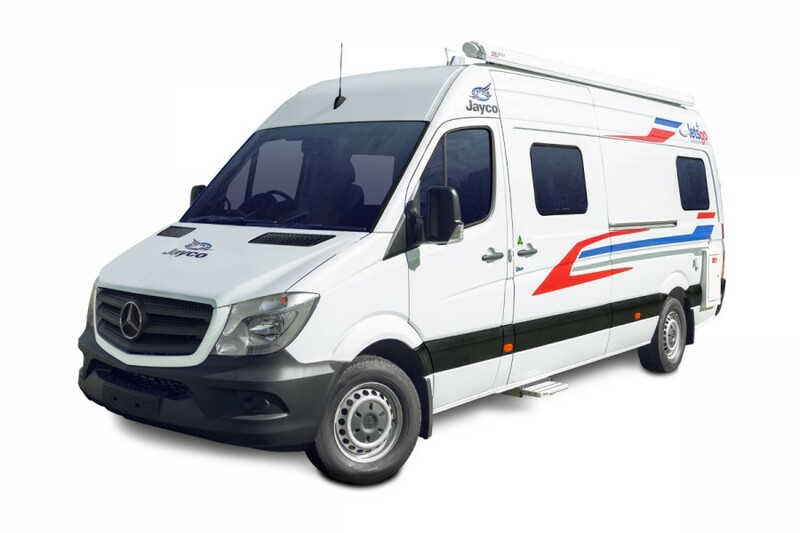 Aside from offering multiple depots, the company is backed by Jayco's Dealer Service and Repairer Network itself― a notable brand for recreational vehicles. And to complete the support team, Let's Go partners with Coles Online― an online platform that allows you to order your groceries with just a tap and have it delivered to your depot. If you’re looking for a motorhome or campervan that’s relatively virgin, then, Let’s Go will be able to provide one. 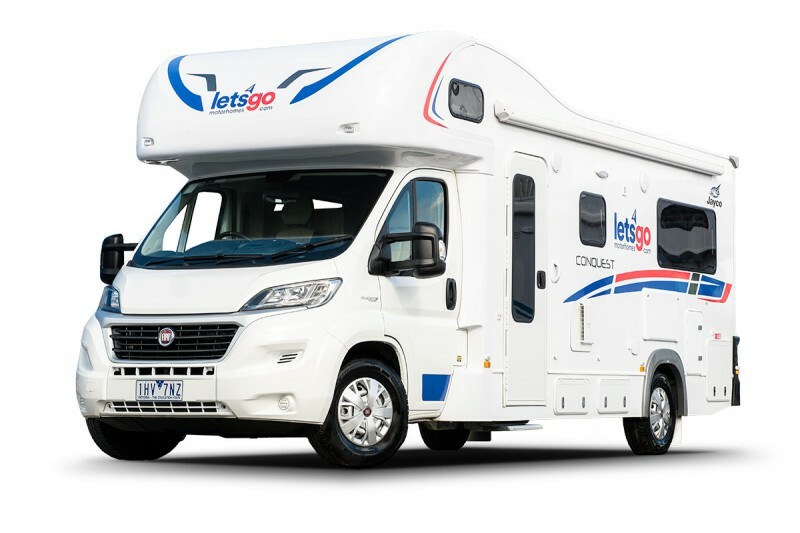 The company acquires new Jayco motorhomes every month, making them one of Australia's newest motorhome rental fleets. 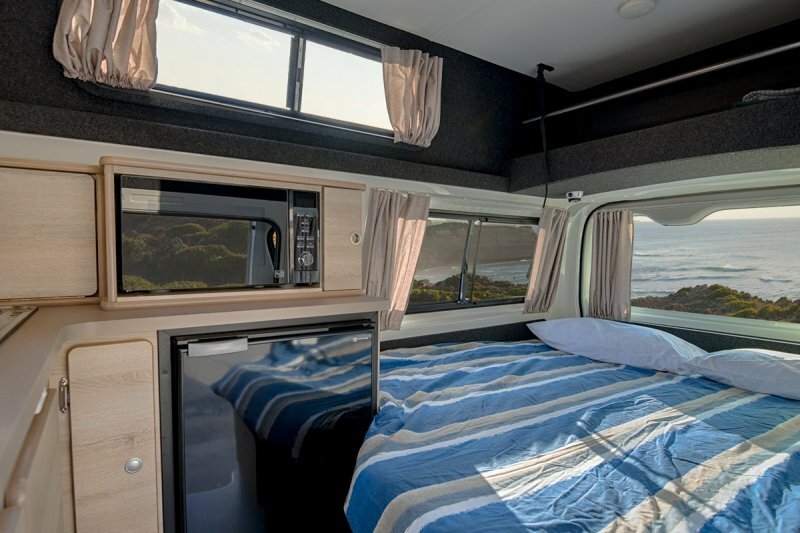 These vehicles are exclusively fitted out with Jayco manufactured models, which means that all vehicles come equipped at no charge with linen and bedding (including towels), as well as outdoor tables and chairs, and kitchen equipment. In addition, all models come with fridges and awnings of different types, depending on the vehicle rented). 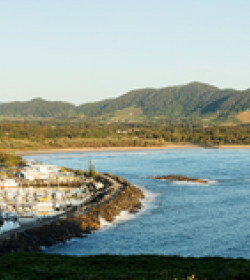 Children over the age of 6 years can travel in all Let’s Go vehicles, while baby and booster seats are provided for some vehicles for those under the age of 6. The HiTop, a Toyota Hiace, seats two adults only; unusually for a basic-standard campervan, it comes equipped with a fridge, along with a sink, stove, and microwave. A dinette converts into a double bed at night. No toilet facilities are included, due to its very compact size; however, it is ideal for the single traveller or couple on a budget. The 3-Berth Cruiser is another Toyota Hitop model that it is also fully stocked with a fridge, sink, stove, and microwave. Above the dinette, which converts to a double bed, there is a single fold-down bunk for your kid. A booster or baby seat can be fitted to the vehicle for children over the age of 6 months and a child anchor point on hand. 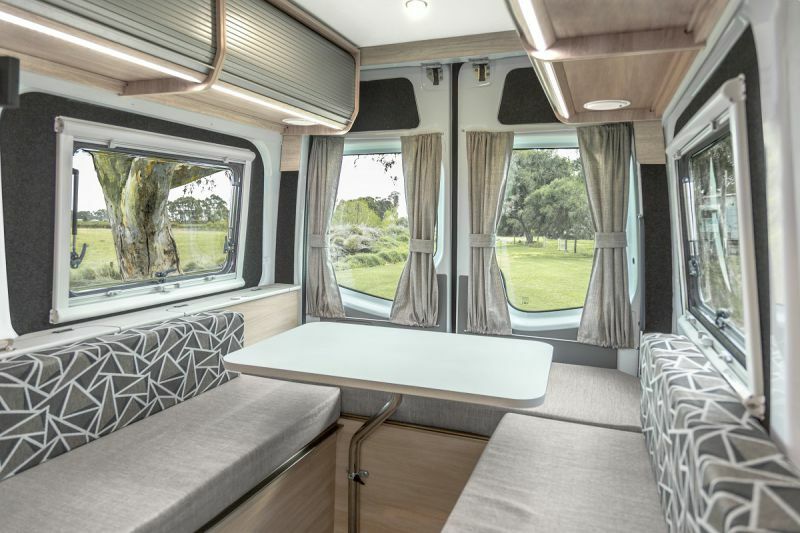 Give way to the recent addition to the campervan fleet — the 3 berth Wanderer, a diesel-powered Mercedes-Benz defined by its spacious dinette that converts into a double bed and one child bed for your kid. 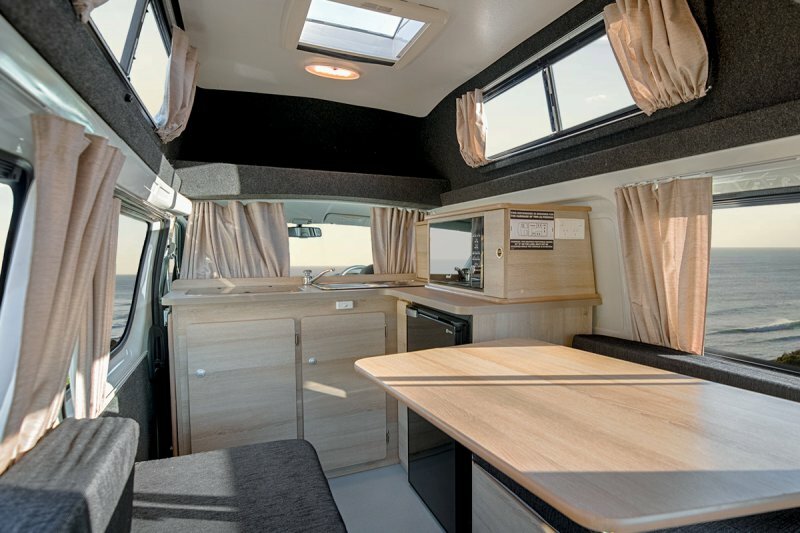 A self-contained unit, this campervan is economical to operate, Accordingly, if you want best of both worlds— from the laidback vibes of a campervan to the functionality of a motorhome, the unit is a charm not to miss. 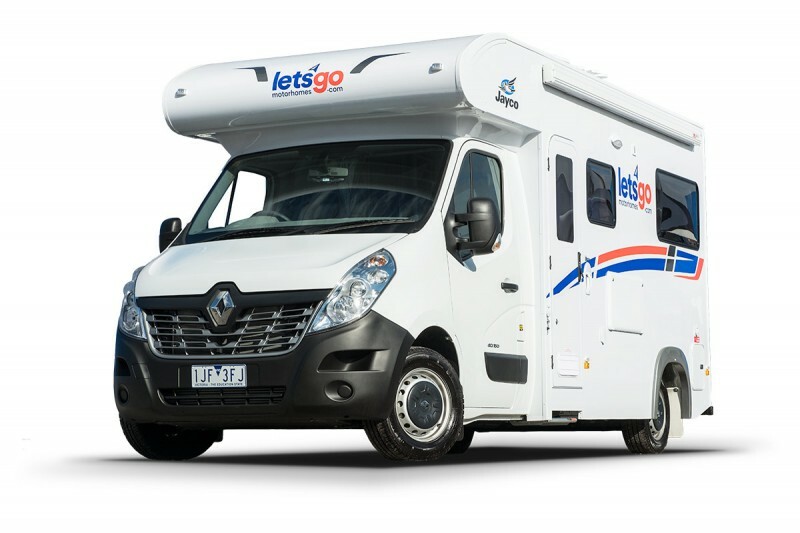 The 2-Berth Voyager is a Renault Master model, the smallest motorhome offered by Let’s Go, and much like the 2-berth Hi-Top that sleeps and seats only two adults, with a dinette that converts into a bed at night. However, this model already comes with an internal access from the driver's cabin and features large panoramic windows for scenic views and cross ventilation. There is enough room to be self-contained with a shower and toilet area. Air conditioning is also included. For couples who aren’t on quite as tight a budget, the Voyager is probably the best and most comfortable model. 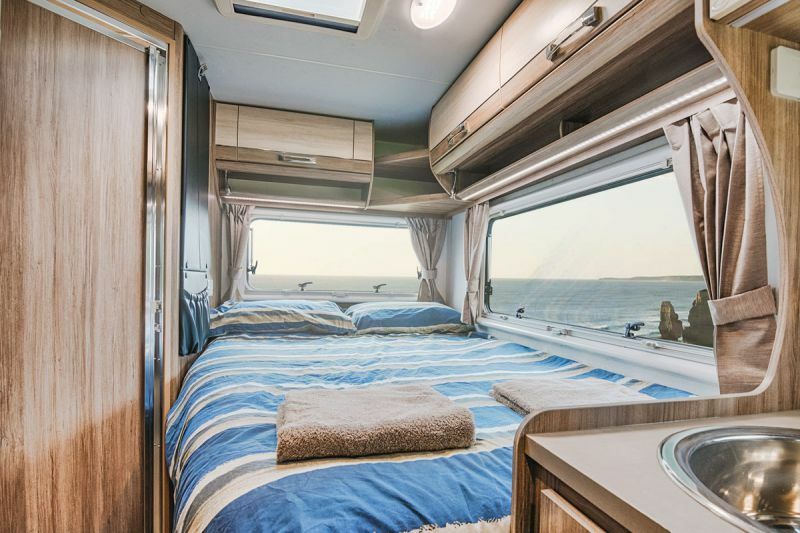 If you want to experience a more comfortable and a bit fancy holiday on wheels together with your kid, then the 3-berth Jayco Cruiser, a Renault Master, is the best option. Aside from the queen bed, there's a single child's bed above driver's cabin and a provision to add a 2-bike rack. So, if you are the adventurous type, then this will not disappoint. But do take note that this model does not have internal access. 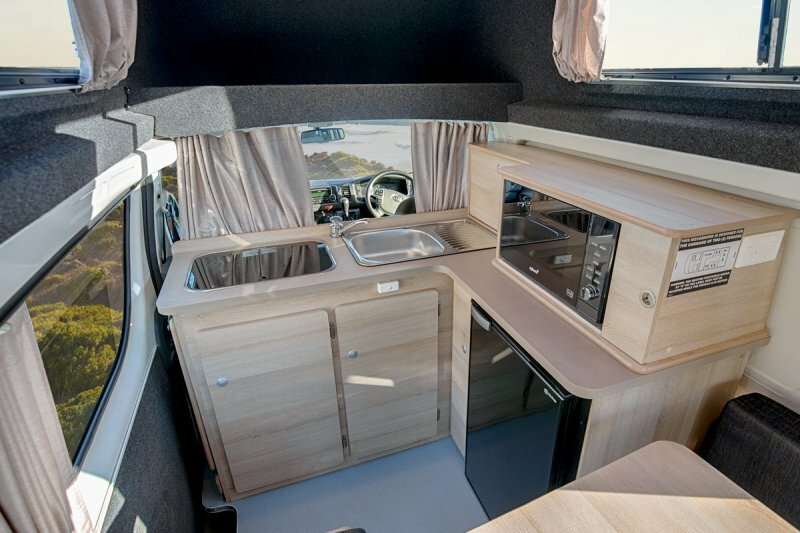 The 4-Berth Conquest run by a Renault Master sleeps and seats four. Two double beds — one over the cabin and one at the rear — are provided. It also goes above and beyond the Voyager, given that it has a 4-burner stove and griller installed along with the sink and microwave. It’s a much more luxurious model than the Cruiser, with leather seats, a colour TV with a DVD player, solar panels, and a reversing camera — and space for a bike rack. In addition, baby and booster seats (for children from under 6 months to 4 years old) can be fitted to the vehicle. 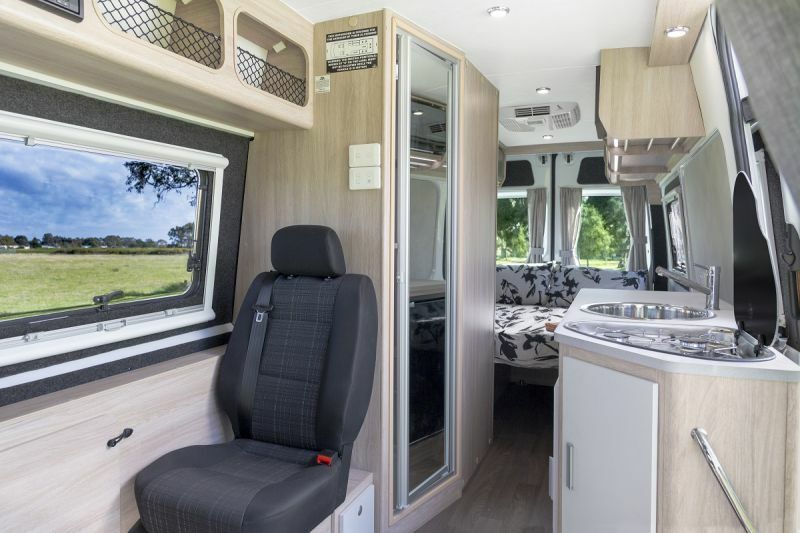 The 6-Berth Conquest is a Fiat Ducato model that is capable of sleeping and seating six adults (with space for a bike rack!). 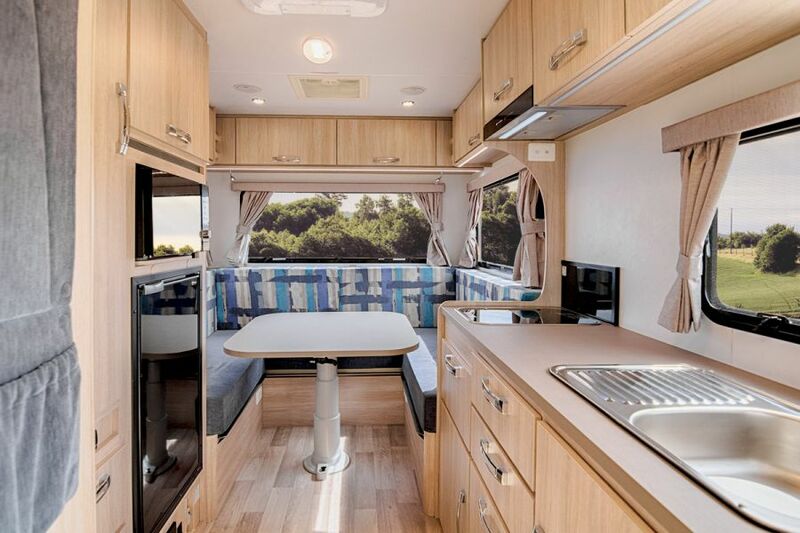 It has three double beds (two permanent, at the rear and over the cabin, and one convertible dinette) and complete kitchen facilities that are probably the best of the bunch― a 3-burner stove that has an electric hob and griller, as well as a two-door fridge-freezer. Like the Conquest, there’s a colour TV/DVD, solar panels, reversing camera and air conditioning. Seats for children from 6 months to 4 years can be also fitted. 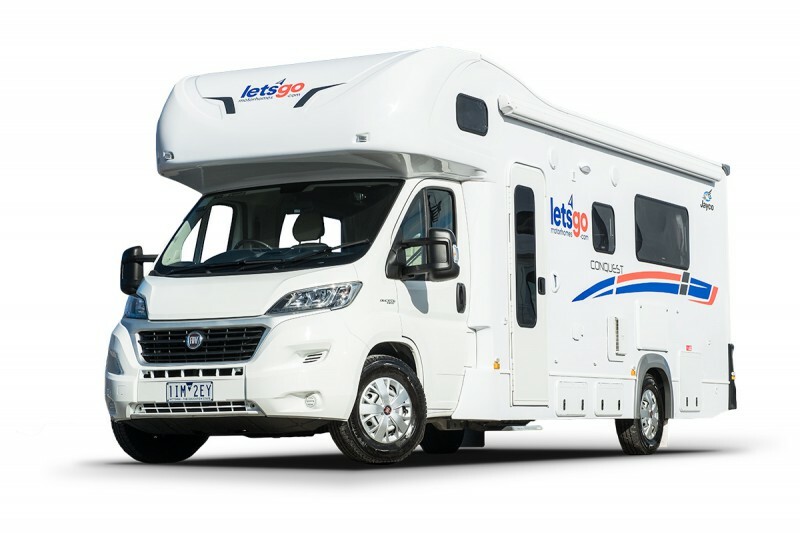 The Conquest Royale is the classic “top-tier” vehicle of the Let’s Go fleet; this Fiat Ducato sleeps 4, has a slide-out queen-sized bed. Not only that, it is complete with an ensuite bathroom (a separate shower and toilet! ), a central vanity, a 4-burner stove with oven and grill and a 2-door fridge-freezer. A colour TV/DVD and air conditioning are included, and baby and booster seats — along with a bike rack — can be fitted. For the insurance options, the Bronze Package will not require you to pay an additional amount per day but the excess is at $6000. 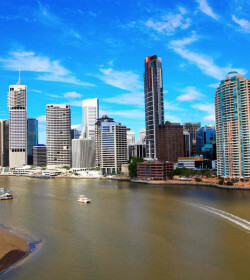 If you opt to avail of the Silver Package, then paying $26/ day (campervan) or $30/ day (motorhome) reduces the excess to $2000 plus GPS. 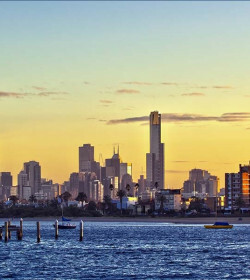 The Platinum Package allows you to pay $45/ day (campervan) or $65/ day (motorhome) to limit the liability to zero with the inclusion of tyres and windscreen protection, GPS, toll pass and gas bottle refill. On the positive side, customers describe Let’s Go vehicles as living up to the “all-inclusive” promise — they are comfortable and well-equipped, stocked with a wide range of holiday essentials. Most also say that the standard of customer service is good, with multiple reviews stating that staff at each depot across the country are friendly and helpful. 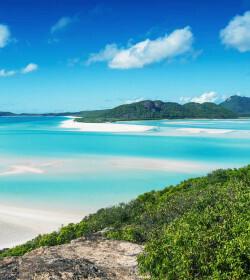 However, a vocal minority — as with any travel company — have made their dissatisfaction clear. 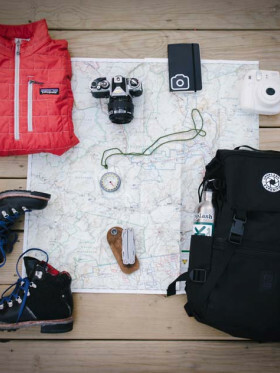 Issues which continue to arise include worn-out campervans, as well as poorly-maintained vehicles (for example, sticky gears, non-functional GPS and broken lights, as well as hygiene offenses like grease and dirt coating surfaces). This is coupled with apparently poor communication from customer service (to the extent that calls have been known to go unanswered for weeks) and ‘money-grabbing’ policies. Some of the worst experiences reported include the company attempting to charge customers for damage incurred after the vehicle is dropped off, as well as unexpected fees and bonds being repaid in installments rather than all at once. 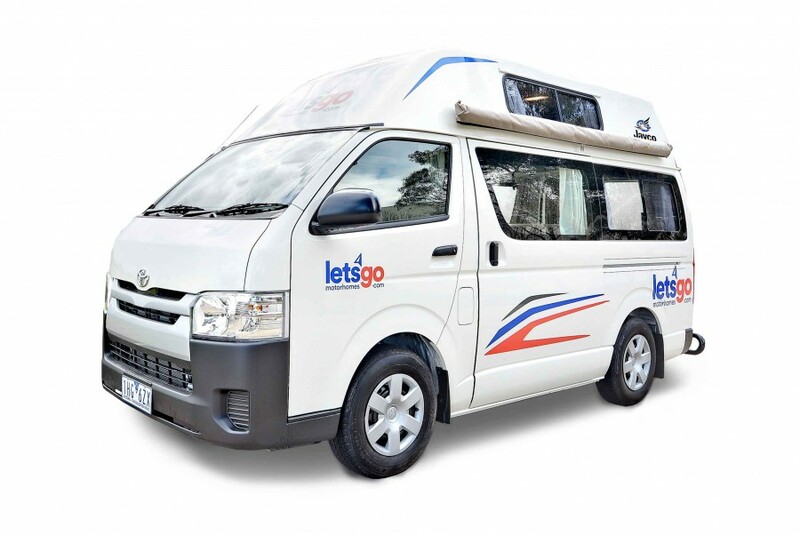 But all in all, Let's Go is still one of the most reliable campervan hires in Australia offering a luxury fleet of new, well-fitted out Jayco vehicles. Although, as stated above, the minority of customers report some disappointments during their rental, Let's Go continues to be one of the top contenders when it comes to luxury campervan/ motorhome rental in Australia. Loved it. Very comfortable inside. Few problems with relay switch on the cooktop but call into customer support solved that. Air conditioner in the back was annoying as it would rumble on and off during the night. Perfect rental! We rented a Motorhome from LetsGo for almost 6 weeks and everything was perfect. 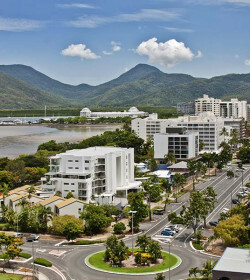 The staff in Cairns where we pick-up our Motorhome was super helpful and friendly and the Motorhome we received was in excellent condition. We did more than 10'000km with this motorhome all the way on the East Cost and the Northerin Terrritory and beside a minor problem with the water pump we did not have a single issue! Also the on-board internet in our Motorhome was great and a nice to have! Also when we ran into the mentioned technical issue with the water pump the LetsGo Team was able to help us right away, one phone call was enough. We had the vacation of our life and we definitely can recommend LetsGo! 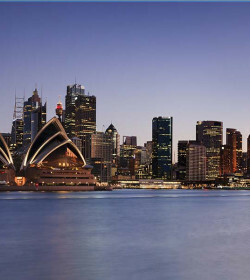 If we go to Australia again we would definitely go with them again! 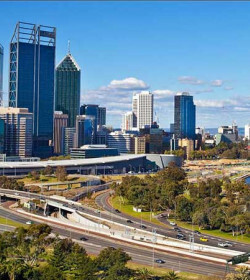 "Overall a great experience - recommendable"
We rented a small motorhome (type "Voyager - 2 Berth Motorhome") for 18 days for our journey from Perth to Exmouth and return. The vehicle was in excellent shape (almost new), very clean and quite well equipped. The customer service however was a bit inflexible. We tried to change our term of lease from 19 days to 18 days (even prior to our journey) - it was just not possible - for whatever reason. Besides this, we would definitely recommend Let's Go. Rented a large motorhome for a trip during the holidays. Many things didn’t work, specially defect fresh and waste water was very inconvenient with two toddlers and a baby. At return the guy was surprised they rented it to us like that but he did charge us an extra 280 dollar for small damages. Your ‘platinum’ insureance wont cover above windshield nor below footstep (where usually all damage takes place if any..) Had to wait two hours with tired kids for a taxi that couldn’t take 5 people. 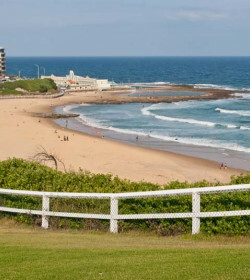 We rented a campervan in thornleigh location. Can’t say enough good things about campervan. Perfect. But girls in office are poor at customer service. No smiles, sorry no thank you s. Told us the bond would be put through when we returned van in good shape. They ran it through 2 days into our 31 day rental. That ment we has interest on it and had to make payments. Thusly it cost us way more for the rental. Also no pickup service. We ended having to walk in the heat both ways from train station. They said it was when staff was available. Both ways there was someone just sitting in office doing nothing. When we rent again will go to someone else with customer service. Let’s Go Motorhome experience was one of the BEST experiences of our lives!!! 1. Superior personalised customer service - WE WILL RETURN! 2. Peter made himself available 24/7 which meant our entire trip felt safer and secure. (2000kms into Central Australia). There was no challenge Peter couldn’t help us problem-solve. 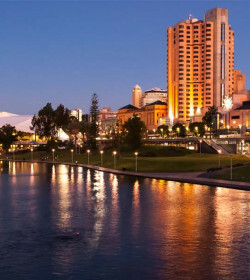 His advice and experience of over 35 years in the Travel Industry made us feel like experts on the road. 3. The Motorhome was fully equiped enough for us to cook any meal and live very comfortably. The living space was immaculate and fully functional. 4. Let’s go offered the best insurance which covered a cracked windscreen on the way back! No stress what-so-ever. 5. Peter instilled confidence in our first ever hire of motor-home. 6. We will always travel with Let’s GO!!!!! We hight recommend this service for the trip of a life-time! Maybe a few trips…. I don't normally write reviews but after reading the negative reviews (which almost put me off going with Let's Go) I felt I should give my opinion to balance it out. I rented a two berth hi-top campervan for a one-way trip trip from Melbourne to Cairns for three weeks. The van was in excellent condition - almost brand new (1,000 km on the clock) and the inside was clean. The van was great to drive and we had no real issues with it. At one point the auxiliary battery stopped working so we went to the Brisbane depot (as we were nearby) who fixed the issue in less than 5 minutes. They also happily switched our sat nav for us (as the suction pads weren't working that well for us). 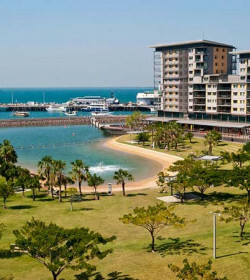 We had no issues when we dropped off the van in Cairns and were refunded our deposit (other than a deduction for replacing a pole in the awning - which we had damaged so fair enough). They also only charged us for replacing the one damaged pole rather than replacing the whole awning which was a pleasant surprise. I would definitely recommend Let's Go - the whole fleet of vans looked very new and well kept. We had good customer service throughout and no nasty surprises/charges at the end. "First timer to a motor-home"
Rented for 8 weeks in October 2016. Good explanation of workings on pick up. Comfortable and well equipped with everything we needed. Deposit refunded immediately (arrived back on our credit card 3 days later) following inspection on handing van back. Very satisfied with our experience and would definitely recommend this company.